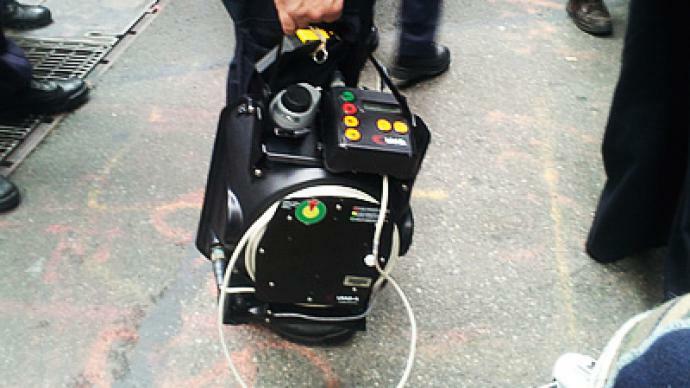 RT’s New York crew has witnessed NYPD using LRADs, or sound cannons on Occupy Wall Street protesters. 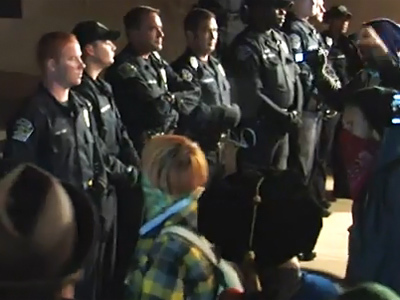 Eyewitnesses at the site have tweeted police fired as protesters sang the US national anthem . 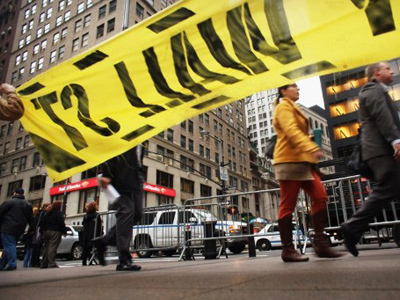 NYPD has previously threatened to use LRADs during the dismantling of the Zucotti Park encampment early morning on November 15. 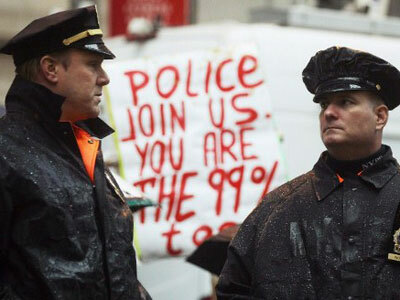 However, that time police went no further than flexing their muscles, with the sound cannons not actually used. But the incident led many to wonder how long police would take to act out their threats. It took them two days. 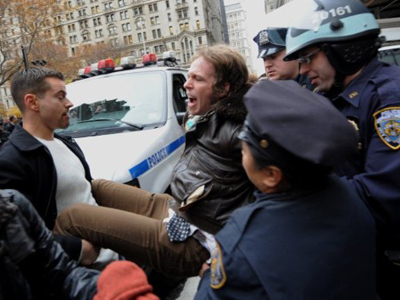 This is believed to be at least the second time they have been used on peaceful protests in the US. Long Range Acoustic Devices (LRADs) send harmful, pain inducing tones over longer distances and are rarely deployed for crowd control purposes. 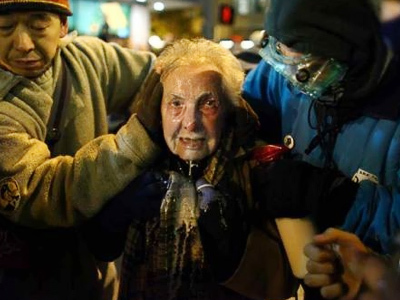 This is at least the second time they have been used on peaceful protests.